CLICK HERE FOR EVENTS, CLASSES, DINNERS & GIFT CARDS! On your choice of a biscuit or fresh greens. Roasted tomato, avocado, goat cheese & pesto with fresh greens topped with balsamic glaze. Chef's choice of the best produce, nuts, cheeses topped with a perfectly paired house made dressing. Learn the secrets to making a foolproof pie crust every time! Enjoy wine or soft drinks and samples during an interactive dough- making demonstration, then get your hands in the flour to create your own mini pies and a batch of ready- to- roll pie dough to take home. All ingredients, materials, recipes, take-home dough, snacks, samples and a beverage included. Three Course Spring Chicken Dinner-and-a-Show Pop-Up in partnership with the Maine Repertory Theater. Join us for a different pop-up dinner every few weeks! Chef Erik's three course creations are familiar favorites with a B&C twist. Check back often for dates & reservations. CLICK HERE for current dinners & reservations. Biscuits & Company is fortunate to have a wonderful team of bakers, chefs, and front of house that are more like family than staff. Walking in to Biscuits & Company, you are greeted with a smiling face and a warm atmosphere. Let us do the cooking! 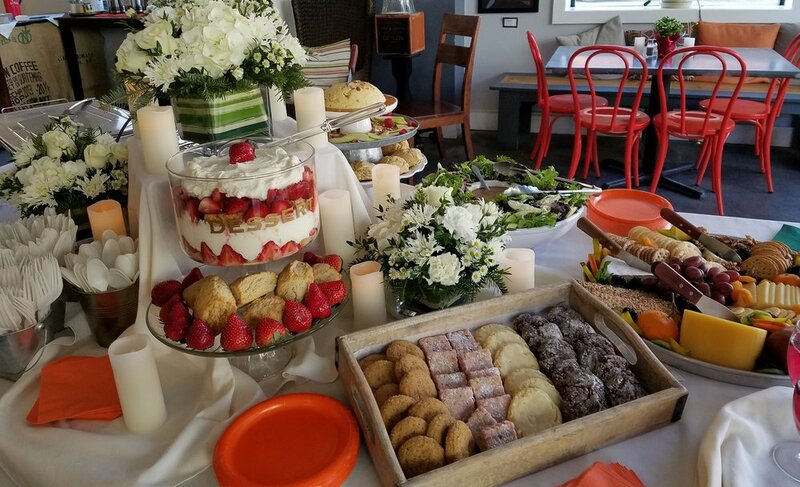 We can cater events for up to 50 guests in our unique and casual space, or we can deliver Breakfast Pastry Trays, Luncheon Platters, Boxed Lunches, Appetizer Platters or a full Biscuit Bar Buffet right to you. 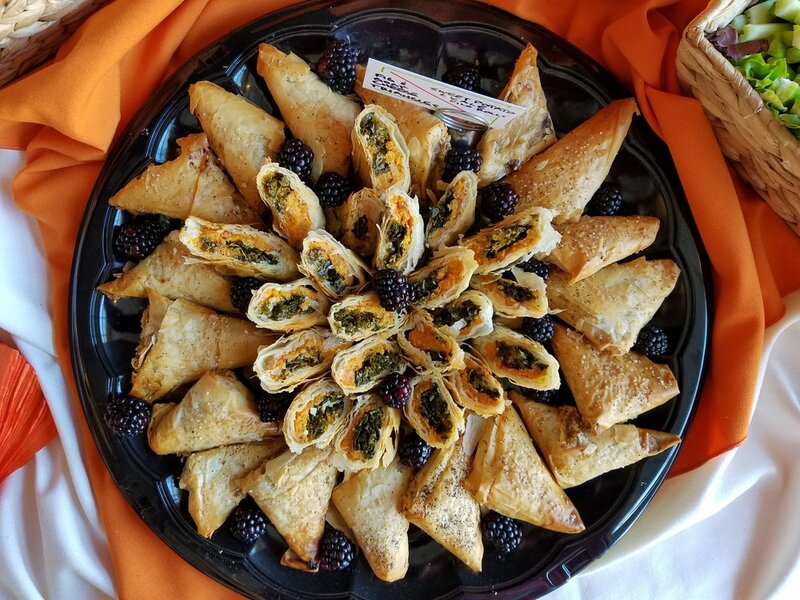 We'll work with you to select the perfect menu for your event, and we can provide vegan or gluten free options on request. Our customized Biscuit Bar offers a variety of savory and sweet options for breakfast, brunch, luncheons, dessert bars or full buffet dinner. 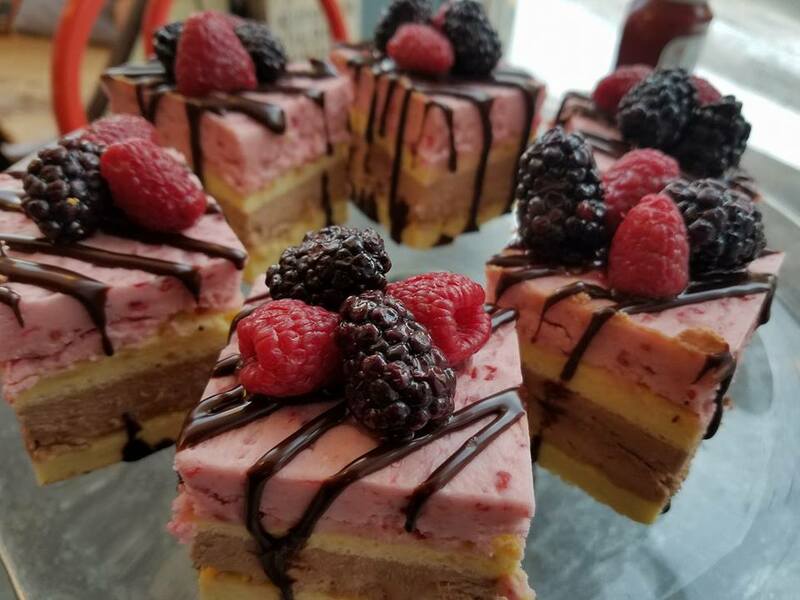 Our desserts, cakes & pastries are made from scratch using premium ingredients and our own recipes.